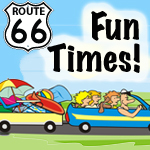 The National Route 66 Day is a designated date on which celebrations mark the many destinations along the route. 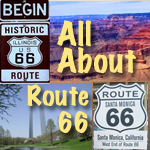 Each year on July 26, thousands of people across the United States celebrate National Route 66 Day. 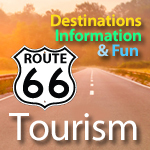 Events are held on Historic Route 66 to help promote awareness of the wide variety of historic and modern destinations, and to encourage people to discover them. On National Route 66 Day, it is the perfect time to thank the many volunteers, the communities they live and work in and all other for their help in developing and maintaining Route 66 across the USA. 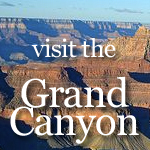 This is a great opportunity to celebrate the Golden Age of Route 66, buildings, the places, the cars, the music, the food, and the friends, all brought together along Historic Route 66. The 2,500 mile route stretched from Chicago through the beating heart of America and down to Los Angeles, officially ending at the Santa Monica Pier. 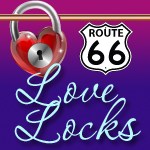 Think of all the places to hold a National Route 66 Day. 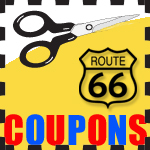 Our website is dedicated to promoting all Route 66 destinations that have a National Route 66 Day.